The methods used by our company are far ahead of the traditional methods still being used by certain companies today. Clearwater Leak Detection provides the latest machinery to its workers to deal with problems at your home in Olympia, WA. Since the year 2007, we have been making the residents of Olympia happy with our outstanding service. Our expert serving Olympia has a lot of experience working in this field and has even earned many certificates and degrees. We strive hard to ensure that the damage of the leakage is minimized in Olympia properties. 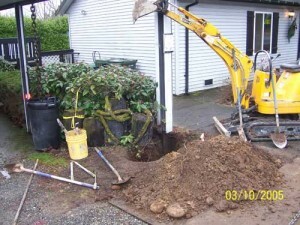 What are the Signs of a Water Leak in Olympia Homes? There is a possibility that the water leak in your Olympia home might be a result of pinhole in a water pipe. We encourage customers to get in touch with us if they have even a little suspicion of any leakage in their Olympia home. The leakage in your Olympia property might end up costing you thousands of dollars if you ignore it for a long time. Therefore, get in touch with an experienced service like ours as soon as possible. The service of water leak detection is required in both commercial and residential properties in the Olympia region. Depending of the age of pipes, water leak detection service may be required in Olympia properties. 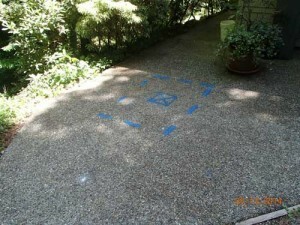 With years of experience in water leak detection and modern technology, we can find out the location of your leakage. We have repaired over 3000 water lines in this region. 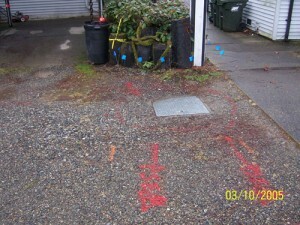 Clearwater Leak Detection renders amazing water leak detection services to Olympia residents. Call 206-686-9300 to talk to our expert of leakages.